The second part of this series post the recent devastating floods in Kerala explores the danger of an ecological apocalypse waiting to sweep across India and the world. That One by force of heat came into being. The Biblical flood is described as God’s vengeance on man’s arrogance and debasement. The pralaya in Hindu cosmology goes back to the mists of time when the gods walked the earth and man ceased to respect Nature. Water is both the elixir of life and the great destroyer. The receding floods that devastated Kerala for over two weeks and threatened to inundate neighbouring areas in Tamil Nadu and Karnataka could be interpreted by mythologists and theologists as God’s wrath at man’s greed and hubris. 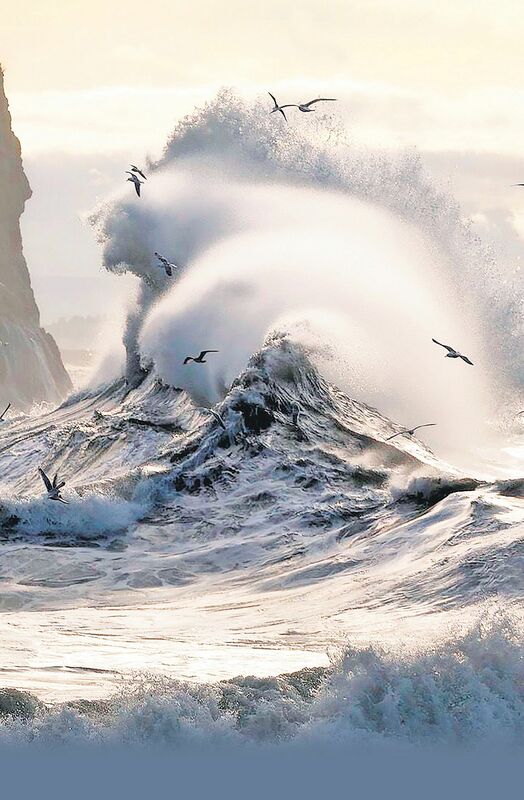 The oceans are angry indeed. Twenty-year-old Vaisakhi’s wedding was fixed for last Sunday. Her mother Geetha worked as a maid in rural Pathanamthitta, a district in Kerala, and had scrimped and slaved for years to save up for the nuptials. But flood waters drowned their dreams and life savings, engulfing their home and sweeping away all the wedding jewellery and money. In Idukki district, a farmer refused to leave with the rescue teams to reassure his cow that was stranded on a small islet among the swirling waters. Every day, he swam across with fodder and comfort for the terrified animal. Last July, when the deluge submerged vast swathes of Gujarat, an IAF rescue pilot spotted a man who had climbed up an electric pole to avoid a watery death. In 2017, severe monsoon flooding claimed 213 lives in western India and 1,30,000 people were relocated as the deluge devastated hundreds of cities and villages in Gujarat. The naked fury of the rain, the perennial child of the ocean in 2017, was a grim forewarning to the savage floods that caused the largest humanitarian and economic crisis in Kerala on a scale not seen since almost a century. In previous months, thousands of people in Gujarat, Rajasthan, Assam, Odisha, West Bengal and other places were killed or displaced by torrential downpour and floods. On June 13, severe floods in Assam prevented the Chief Minister from entering his office in Dispur. As Assam limped towards normalcy, it was Rajasthan’s turn to face the deluge. In August, as floods swept through Bihar, 14-year-old Nunu Kumari built a raft from banana tree stems to ferry a woman in labour to hospital, saving her life. Just as scientists and disaster experts across the world claim that most natural disasters are manmade, it is individuals who rise above the danger to redeem the spirit of humanity. THE HEAT IS ON: There are three known reasons behind global warming. In 2010, the Gadgil panel was set up to recommend methods to protect ecologically-fragile mountain ranges and examine the effect of the degradation of the Western Ghats. The Environment Ministry guidelines for biosphere reserves have identified the Western Ghats as a biodiversity ‘Hotspot’, “facing an exception threat of destruction”. New dams, population displacement, mining, timber felling, effluents in the river streams and industrial pollution have all but destroyed the fragile ecosystem. “It is easy to blame others, but we need to look inside us. Despite knowing that plastic has been banned, we don’t refrain from using it. We can’t make a small effort of carrying a cloth bag while going shopping, how will we bring a bigger change? If things happen at this pace, there will be more of Kerala,” says Yamuna Jiye Abhiyaan convenor Manoj Mishra. A 2014 Indian Institute of Tropical Meteorology study has calculated that monsoons are gaining in intensity because of deforestation and global warming. The chemical composition of the world’s seas is changing faster today than over the past 65 million years. Rising levels of carbon dioxide in seawater are upping acidity levels and reducing oxygen levels—catastrophic to marine life and geographically vulnerable people. Life-sustaining coral reefs are dying. Scientists estimate if this continues, they would be wiped out by 2050. The number of natural disasters has gone up from 32 in the 1960s to 110 in the present decade. The latest World Bank report, ‘South Asia’s Hotspots: The Impact of Temperature and Precipitation Changes on Living Standards’, has a dire warning for India: Rising temperatures and poor rainfall will degrade the living standards of half of India’s population by almost destroying agriculture, creating massive water shortages and multiplying stress on urban resources. • The snout of the Pindari glacier, in the upper Himalayas of Kumaon region and the source to Pindar River, a major tributary of the Alaknanda River, has retreated 1569.01 metres over four decades—1976 to 2014. • An IISER report says the Himalaya and Karakoram ranges have become hotter by 1.5 degrees between 1850 and 2010. • A 2005 WWF report warned global warming is causing the Himalayan glaciers, including the Gangotri, to recede at one of the fastest rates in the world. The added melts to the Ganga, Indus, Brahmaputra, and other Asian rivers will add to the overall water volume causing floods. • Coral reefs in the Lakshadweep and Andaman islands are likely to be bleached as the rising seas submerge mangroves and increase salinity. Sir David King, the Special Representative of the UK for Climate Change from September 2013 until March 2017, mentions that climate change will drastically alter the patterns of the Indian monsoon, causing depleted rainfall in the north and increase in the south. Just a rise of 2 percent in temperature and 7 percent in rainfall could adversely impact agriculture in the western coastal regions as well as Karnataka, Punjab and Haryana. Some urban planners argue that the development thrust of Smart Cities leaves out the fact that many of the proposed cities are at risk from climate change. TIDES OF DESPAIR: Oceans are the force that sustains life on earth since they cover 71 percent of its surface, and comprise 95 percent of all available space for life to thrive. Scientists believe an important cause of climate change is ‘deoxygenisation’ of oceans. Data shows a 2 percent reduction of oceanic oxygen levels over the past half century. A new review paper published in Nature Geoscience deals with “Oxygen minimum zones” caused by the combined action of sluggish ocean circulation and the decomposition of organic matter. Low oxygen regions release nitrous oxide into the atmosphere. Research suggests that these low-oxygen regions are expanding, with “dramatic” biological, ecological, economic and climatic consequences in the future. Oceans are also the world’s largest carbon repository, through which 83 percent of the global carbon cycle circulates. Over the last two centuries, manmade carbon dioxide release and rising greenhouse emissions are taxing the processing power of the seas; 75 percent of industrial and agricultural carbon is being absorbed by the waters. So is 90 percent of the extra heat caused by concentrated greenhouse gases like NO2. Marine scientists such as Prof Andreas Oschlies, Prof Peter Brandt, Dr Lothar Stramma and Dr Sunke Schmidtko believe existing appraisal models to assess marine oxygen levels are not perfect, and the deoxygenisation is much more. POPULATION PARADIGM: The relationship between population and global warming is historic and progress-related. India’s population has gone up from 40.9 crore in 1955 to 132.4 crore in 2018 and is set to reach 170.5 crore in 2050. Today, the UN estimate of the current world population is over seven billion. Between 1900 and 2000, it grew at a rate higher than during the entire previous history of mankind. The Industrial Revolution of the 1800s brought far-reaching economic and demographic changes. Development, longevity, public health and personal hygiene, and social habits improved and so did the use of natural resources, energy and disease control. Fossil fuel replaced wind, water and wood as an energy source. Machines began to replace human labour, exponentially hiking production capacity in agriculture, food, medicine, housing and clothing. Money became accessible to all classes. The change put pressure on natural resources. Compared to 148.94 million sq km of the world’s land area, the sea occupies 361.1 million sq km. It is now being degraded by overfishing, pollution, oil spills, destruction of marine life and coral reefs. Ten billion is the uppermost population limit for the earth’s capacity to produce food sustenance; experts predict this will fall short by 2050. TOXIC WASTE: The most toxic byproduct of global industrialisation is plastic. A six-year study ‘Plastic Pollution in the World’s Oceans’ by oceanographer Marcus Erikson between 2010-2016 based on extensive marine expeditions estimates over five trillion pieces of plastic are floating around in the sea. Of this, one trillion is in the Indian Ocean alone—the second most polluted ocean in the world. Almost all the countries along the Indian Ocean depend on agriculture, industry and mining. Plastic is choking corals in Australia’s Great Barrier Reef. India’s coastline is about 7,500 km-long and has 1,200 islands in the Exclusive Economic Zones that have a profusion of estuaries, mangroves coral lagoons and mudflats. Dissolved oxygen and microbial health is what decides the health of coastal waters. The sewage treatment capability in the 13 Indian coastal states is about 12,673 MLD while the total sewage outflow is 33,215 MLD. Most of the untreated waste enters the sea through the 302 identified polluted river stretches. Just 10 rivers carry a horrifying 90 percent of all the plastic polluting the world’s oceans; and all are in India, Africa and China. Many fish species mistake plastic for prey, and die of poisoning or malnutrition. Sea life are trapped or strangled in abandoned nylon fishing nets. Swathes of plastic that have settled on the sea bed have destroyed breeding grounds. Kanchi Kohli, legal research director, Centre for Policy Research-Namati Environment Justice Programme, puts the blame squarely on the policy makers. “The vulnerability has increased because of poor ecological management and disregard for environmental concerns. Government departments can determine what should or should not be done. Individuals can’t do anything without a push by the government. It’s the government’s responsibility to alter the way we plan,” she explains. SHIPPING THREATS: Oil is a primary agent of oceanic degradation. The sea bears most of global trade: around 90 percent of the world’s consumer goods are transported by 90,000 shipping vessels. Over 70 percent of goods are in cargo containers. Cargo spills contribute to a large percentage of ocean pollution. Five to six million shipping containers packed with up to 60,000 pounds of goods per ship traverse the oceans at any given time. Many of these ships are lost at sea, or run aground. Estimates put such numbers at 10,000 a year. The spilled goods are rarely cleaned up. “Currently there are no treaties or laws that combat the problem of consumer goods spills,” said Mike A Bajaj, a maritime attorney, in Delhi in an interview. The International Convention for the Prevention of Pollution from Ships mandates companies to clean up only oil spills. Independent agency ‘Oceana’ that works to protect and restore the world’s oceans reports the shipping industry is responsible for a significant proportion of the global climate change problem. It attributes over 3 percent of unregulated global carbon dioxide emissions to ships. According to The International Maritime Organisation (IMO), seafaring vessels emitted 1.12 billion metric tons of carbon dioxide in 2007. The emissions could rise to 1.48 billion metric tons by 2020. Leisure shipping is equally culpable. The environmental group ‘Friends of the Earth’ calculates that every week cruise ships generate about 15 gallons of hazardous chemical waste daily, of which 2,10,000 gallons are sewage and 10,50,000 gallons are graywater. Moreover, every year 100 million gallons of petroleum products from cruise ships taint the seas. The demand for cruise ships over the past decade peaked by 70 percent, according to the Cruise Lines International Association. Moody’s outlook on global shipping for the next 12 months predicts an overall 4-5 percent growth. The shipping industry’s annual growth rate in three decades averages five percent. Unless tough regulations are in place, commerce will destroy the world’s oceans faster than we think. The Intergovernmental Panel on Climate Change predicts oceans could rise between 11 and 38 inches by 2100 and a total meltdown of the Greenland ice sheet will cause the sea to rise up to 23 feet; enough to inundate all of London. The myth is the forefather of history which has a stubborn way of repeating itself. If India and the world insist on prioritising unchecked growth over sustainability, tragedy could arrive in the form of Nature’s wrath. Floods saw a loss of 1,399 lives and 5,302 animals. Nearly 29 million people were affected. Around 47 lakh people affected in all the 21 districts—156 people and 7,814 cattle killed. The Super Cyclone brought seawater up to 35 km inland, inundating everything in its wake. It caused large-scale devastation, damaging around 1.6 mn homes. 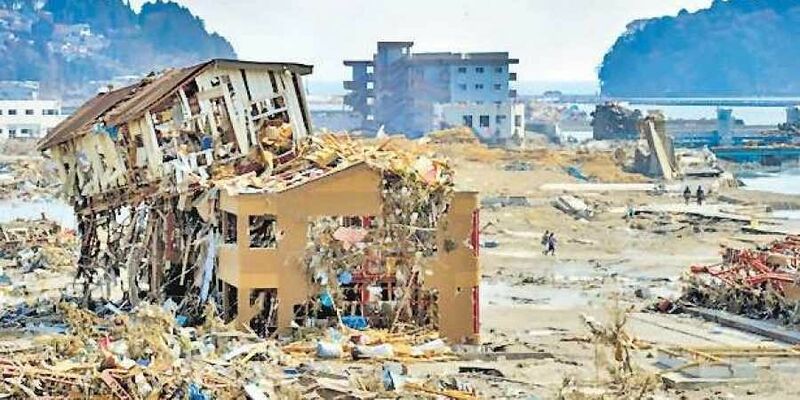 The worst tsunami-affected island was Katchall, with 303 of its 5,312 populace dead and 4,354 missing. Flooding accounted for more than 123 deaths; 2,50,000 people were evacuated. Floods claimed the lives of almost 1,094 people. It happened in July preceded by the Gujarat flood, which happened just a month ago. The UN described the floods as the worst in the “living memory” of Bihar. Total deaths recorded were 1,287. Uttarakhand, Uttar Pradesh, Himachal Pradesh, and Jammu & Kshmir were affected. The cloudburst claimed 31 lives. The floods killed at least 120 people and also affected the life of everyone in 1,744 villages in nine districts. Nine districts were inundated with huge landslides accompanied by massive rainfall. Almost 6,000 people killed in north India. Torrential rainfall led the Kashmir region to disastrous floods; 2,600 villages were affected, of which 390 were completely submerged.